MISSION: The Carroll County Sheriff's Office will provide the highest level of service founded in trust and commitment to our Community. Westminster – Sheriff Jim DeWees was sworn in as the 58th Sheriff of Carroll County during an inauguration ceremony at Carroll Community College’s Scott Auditorium on Tuesday, December 2, 2014. Sheriff DeWees is a retired Captain with the Maryland State Police and is serving his second term as Carroll County Sheriff, having run uncontested in the 2018 elections. Sheriff DeWees took control of the sheriff’s office from retiring Sheriff Kenneth Tregoning, who was first elected to office in 1998. 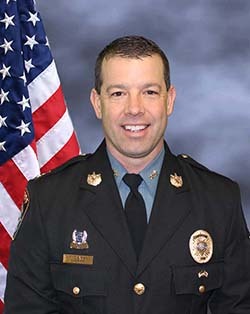 Sheriff DeWees was raised in Carroll County and is a 1988 graduate of South Carroll High School in Winfield, Maryland. He holds a Bachelors of Arts degree in Criminal Justice from Mount Saint Mary’s University in Emmitsburg, Maryland and a Masters of Arts degree in Human Resource Development from Seton Hall University in Trenton, New Jersey. Sheriff DeWees is also a graduate of the Northwestern University School of Police Staff and Command. Sheriff DeWees is married with three children who attend Carroll County Public Schools. His wife of 16 years, Heather, is a teacher for Carroll County Public Schools and the girls’ varsity basketball coach at Manchester Valley High School. Sheriff DeWees is the second youngest of the six children of Joan and the late Thomas DeWees of Thurmont, Maryland. Sheriff DeWees retired as a Captain from the Maryland State Police. His career with the Maryland State Police started after high school when he became a cadet at the age of 18. Sheriff DeWees rose through the ranks of the Maryland State Police and held numerous operational and command assignments within the organization. Sheriff DeWees spent the majority of his career as a patrol and investigative trooper, supervisor and barrack commander in Carroll County, assigned to the Westminster Barrack. Sheriff DeWees was commander of both the Westminster and Golden Ring Barracks, Operations Commander for the Washington Metropolitan Area and ended his 25-year career as the Special Operations Division Commander, overseeing Emergency Operations, K9, S.T.A.T.E. Team and the Motor Unit. He also served as an instructor at the State Police Academy. For most of his career, Sheriff DeWees served as an operator, team leader and commander of the Maryland State Police SWAT Team known as S.T.A.T.E. In 1998, Sheriff DeWees was awarded the Governor’s Citation of Valor after he shot the gun out of a suicidal man’s hand, ending a two-hour standoff in Keymar, Maryland. He is also a recipient of the Superintendent’s Citation of Valor for his role in ending two separate armed standoffs in 2000 and 2002. Sheriff DeWees has received numerous awards for excellence in investigations and leadership. Sheriff DeWees brings a diverse background of law enforcement experience and leadership to the Carroll County Sheriff’s Office. Continuing a career of public service, Sheriff DeWees now leads 260 dedicated employees who staff a full service law enforcement agency providing road patrol and criminal investigative services, a detention center, and courthouse security. 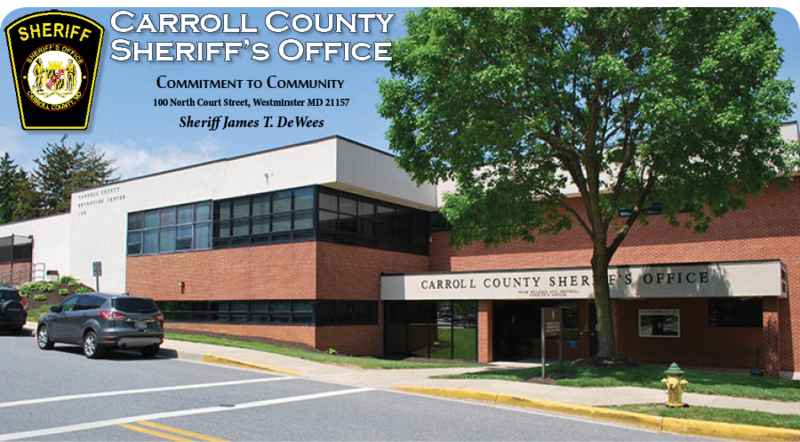 Sheriff DeWees considers it one of the highest honors of his career to serve the citizens of Carroll County as their Sheriff.